Come stay at PEI’S newest waterfront camp affordable getaway in a wooded riverfront setting with many simply-for-the-fun-of-it amenities for all ages and levels of mobility. Camp Kildare’s facility is situated on 5 acres of wooded riverfront property. The camp has all the rustic charm a camp should have! 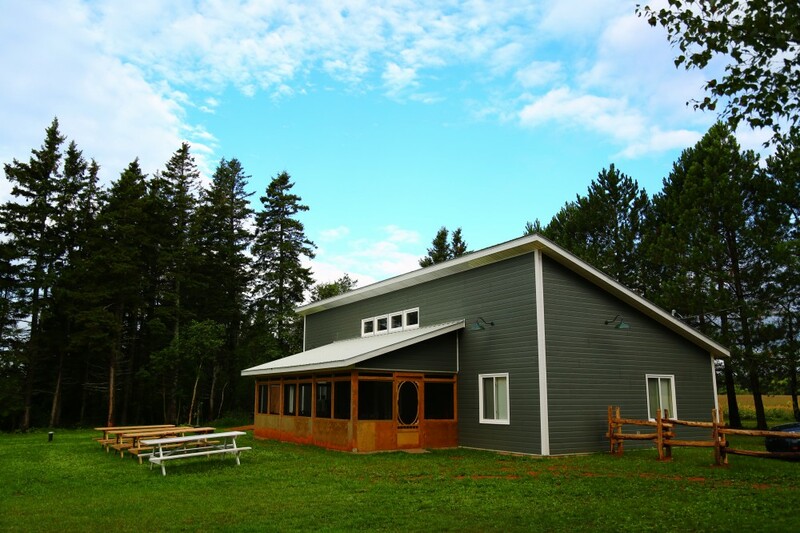 This includes two bunk rooms that in total will sleep 22 people, 3 bathrooms an industrial style kitchen with lots of seating for all, a common area for talking, a screened in porch to enjoy those PEI evenings and the facility is fully wheelchair accessible including a roll-in shower.